Email is simultaneously a primary business communication channel and the top threat vector for the distribution of cyber attacks. Sophisticated cybercriminals increasingly rely on email to deliver ransomware and other advanced malware quickly and effectively. The growing adoption of cloud mailbox services like Office 365 opens up the opportunity for a blended attack. Unfortunately, the default security levels for many existing cloud-based email solutions may be too limited to deliver adequate protection. 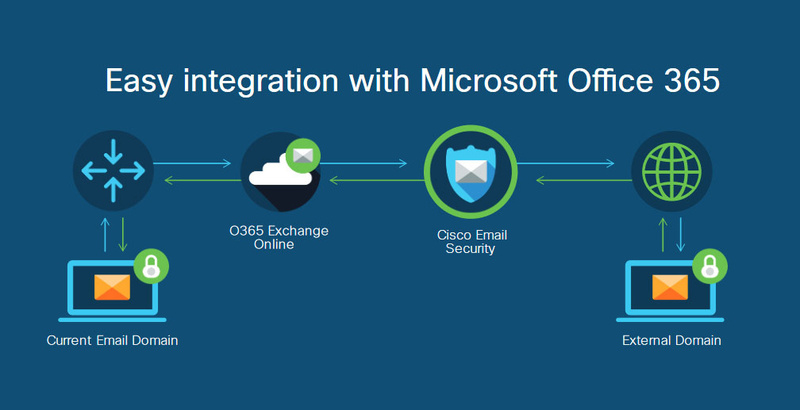 Adding Cisco Email Security with AMP to your Office 365 email solution strengthens your defenses against ransomware, business email compromise, and phishing attacks.